© 2018 Agatha Belaya, All Rights Reserved. Agatha Belaya, a graduate of the renowned St. Petersburg Academic Institute of Painting, Sculpture, and Architecture named after Ilya E. Repin, lives and works in St.Petersburg, Russia. 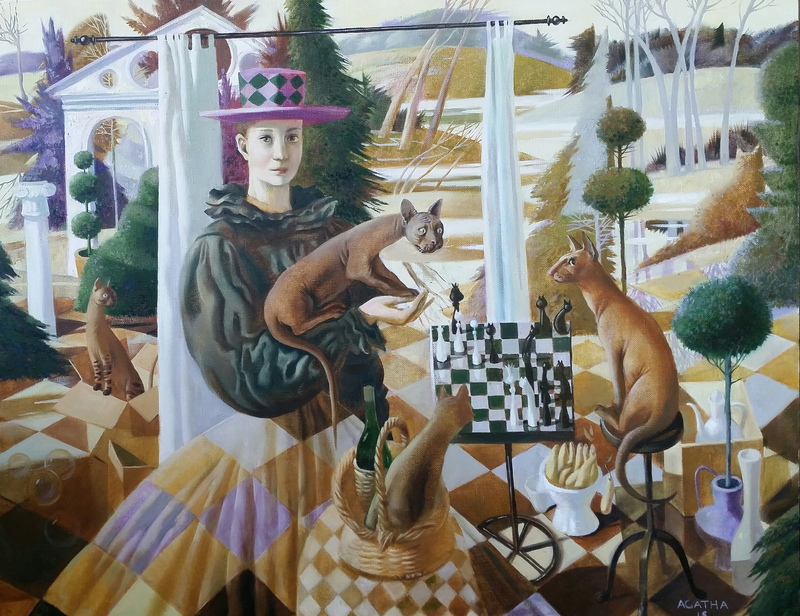 In 1999, as a fifth-year mural painting major, Agatha was chosen to join the group of artists painting murals in the newly restored Cathedral of Christ the Savior in Moscow, the cathedral of great symbolic importance for the post-communist Russia. Agatha has received numerous awards at various art exhibitions in Russia and abroad. The content of this site, including art, text and images, cannot be reproduced in any form, anytime, anywhere. Reproduction of any images without prior written authorization is prohibited. To get the permission, write to info@agatha-belaya.com.